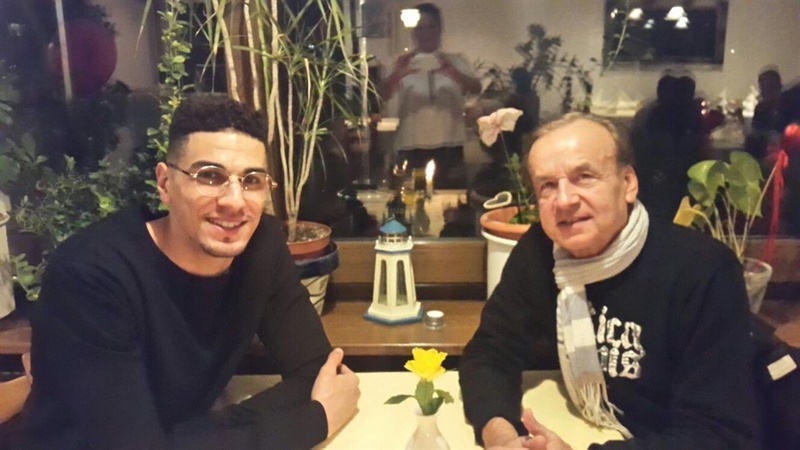 Gernot Rohr is in home country Germany, and trying to scout for quality players that can beef up Super Eagles squad for the World Cup. Super Eagles coach Gernot Rohr may not be satisfied with the crop of players in the Nigeria national team squad going to the 2018 FIFA World Cup. Rohr is in home country Germany, and trying to scout for quality players that can beef up Super Eagles squad for the World Cup. The 64-year-old coach watched the Bundesliga clash between Hoffenheim and Eintracht Frankfurt at Wirsol Rhein-Neckar-Arena over the weekend in which German-born Nigerian centre-back Kevin Akpoguma played the 90 minutes for the home side (Hoffenheim). His eyes were focused on him. Reports in Germany also have it that Rohr is monitoring Hannover 96 German-born Nigerian forward, Noah Sarenren-Bazee’s situation. But the attacker has been out-injured for six months and is set to return to action. Rohr told German radio SWR on Monday that he was interested in Akpoguma. "I watched him play for Hoffenheim against Frankfurt on Saturday. Kevin is an excellent match for the players we are on the lookout for. "But he’ll have to decide soon whether he wants to wear the colours of Nigeria and I’ll call him in the next few days."